In this sketch the artist experiments with the fluid dorsal contortions of a tethered elephant that has lost his footing, or is lying down briefly to rest, or perhaps having a playful roll in his paddock. From spirally coiling trunk to looping tail, the massive volumes of his twisting body and legs splayed at different angles are fluently drawn with heavy outlines and rapid linear modelling. 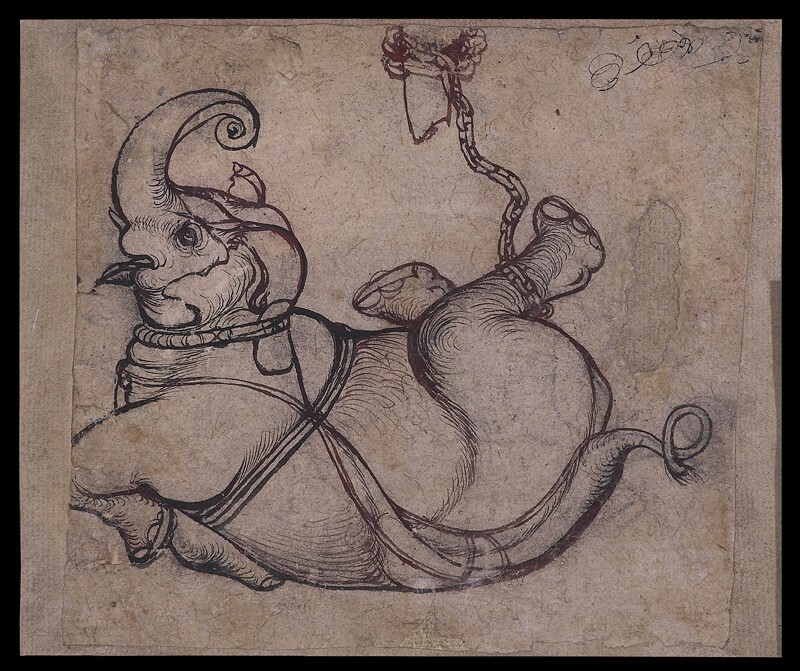 This forceful sketch may have been a study for an elephant figure in a painting.